Monster Sleeping won an allowance at Laurel Park on April 3. Photo by The Racing Biz. Two members of the Top Midlantic-bred Poll for older horses — #1 Page McKenney and #3 Sonny Inspired — ran in Saturday’s $1.25 million, Grade 2 Charles Town Classic. Page McKenney ran a dogged second, chasing loose-on-the-lead Stanford all the way around the track before settling for second, beaten by two lengths. Page McKenney earned $234,000 for his exertions. Sonny Inspired raced up close in third and fourth for three-quarters of a mile before backing up, eventually finishing eighth, beaten by 7 1/2 lengths. In addition, West Virginia-bred Charitable Annuity tried his hand at the big race, stepping out of state-bred company to contest the Classic. He finished ninth, beaten by 11 lengths. Another member of the Top Midlantic-bred Poll was also in action Saturday. Pennsylvania-bred Finest City, ranked fifth in the most recent poll, rallied from sixth place to upset the Grade 2 Great Lady M Stakes at Los Alamitos. Under Kent Desormeaux, the four-year-old City Zip filly swung four wide entering the lane and got clear of the leaders late to win by 1 1/4 lengths for trainer Ian Kruljac. It was the first graded stakes win for Finest City. Rose Brier set a Laurel turf course record in winning the Henry S. Clark Stakes yesterday, traveling one mile in 1:33.11. 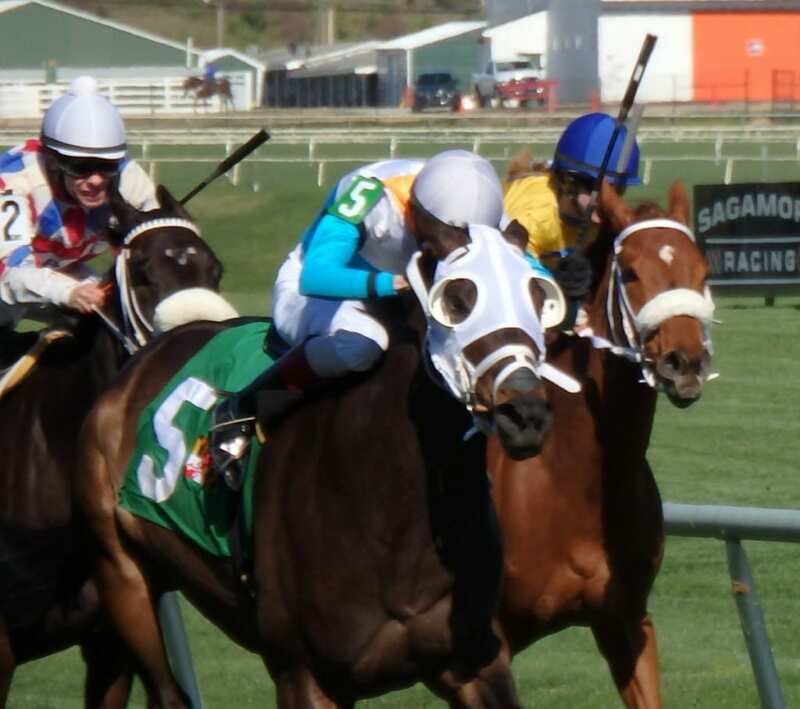 Raging Smoke lit up the toteboard in taking the $150,000 Sugar Maple Stakes at Charles Town Races. The Pennsylvania-bred, Michael Salvaggio trainee took the seven-furlong test in 1:25.66 under J.D. Acosta and paid $75.80 to win. Javier Castellano, who later took the Charles Town Classic, also scored in the $100,000 Robert Hilton Memorial Stakes when recent maiden winner Dig Deep wore down favored Quijote to win by 1 3/4 lengths for trainer Alan Goldberg. A pair of West Virginia-breds punched their tickets to the West Virginia Breeders Classics in the fall with victories in “Win and You’re In” events. Candy Man’s Girl is Cavada-bound after she posted a front-running score under Antonio Lopez in the Original Gold at Charles Town, just holding off the stuck-in-a-box Red Hot Diva. And In the Fairway — after a winless ’15 — won for the second straight time this year when rallying to a dominant win in the Confucius Say under Arnaldo Bocachica; as a result, he has a free pass to the Onion Juice on Classics night. Local fan favorites Lucy’s Bob Boy and Russell Road finished third and seventh, respectively. A pair of talented two-year-olds returned as running sophomores yesterday at Charles Town. In her first start since last October’s Breeders Classics, R C’s Daisyduke went wire to wire to win the Its Binn Too Long by a diminishing half-length under jockey Gerald Almodovar. Two races later, Bullets Fever ran his record to four-for-four when romping by four lengths under Arnaldo Bocachica in the Coin Collector Stakes. $1 million auction purchase Espresso Time, who debuted at Laurel, finishing third back in July, returns to the central Maryland track still in search of her first victory. The Graham Motion-trained Tapit filly spent the winter at Gulfstream Park, notching a pair of thirds in three starts, two on the grass. Here, she’s the lukewarm 7-2 morning line favorite in a nine-horse field set to go 1 1/16 miles and will have Trevor McCarthy up. But others in here — including Motion’s own Snuck a Little Fun (9-2), deserve a look, too. A rugged crew of turf-sprinting fillies and mares is set to gather for Laurel Park’s featured eighth race, a third allowance going 5 1/2 furlongs on the lawn. Scuba Sue (3-1), making her first start off the claim for trainer Jeremiah Englehart (26 percent win off his last 47 first-claim horses), is the favorite and will have Angel Cruz up. But the field also includes the improving Lovable Lady (6-1), making her first turf try; late-closing Forest Funds (4-1); Aquinnah (6-1), who won or placed in four ’15 stakes; and ’14 Selima winner Miss Bullistic (15-1), returning to the game she’s done best. The top two morning line horses in the ninth at Parx Racing, a $25,000 maiden claimer, share something inauspicious. Favored Lucky Greatness (2-1) is winless in nine career starts (9-0-3-2) but enters off back-to-back placings against similar. And Love Is All (3-1), enters with a winless ledger in eight tries (8-0-0-3) but was most recently third against similar (though beaten 13 lengths).